These versatile, ready-to-use inks are ideal for silk screening, stenciling, and block printing. All colors are intermixable and can be thinned with water. 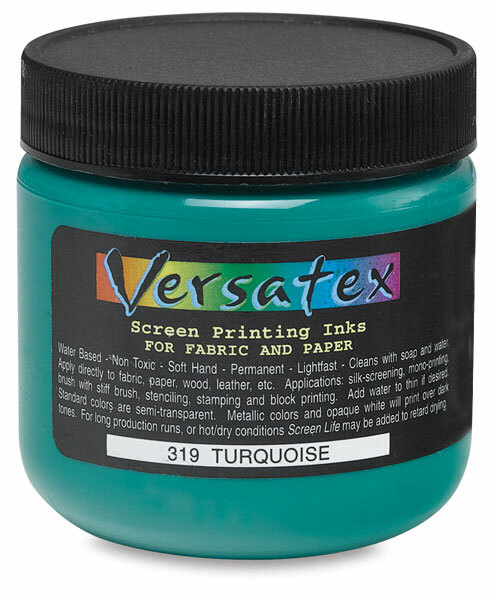 Though heavily pigmented, Versatex will not change the texture of the fabric being printed. ® Jacquard is a registered trademark.® Versatex is a registered trademark.